Design competitions have many idea-models attached to them, resulting in distinct meanings and natural confusion. From an expert point of view, design competitions could be categorized into awards, prizes, trophies, medals, challenges, accolades, selections, contests and competitions with each of them signifying a distinct type of event organized for a different aim. 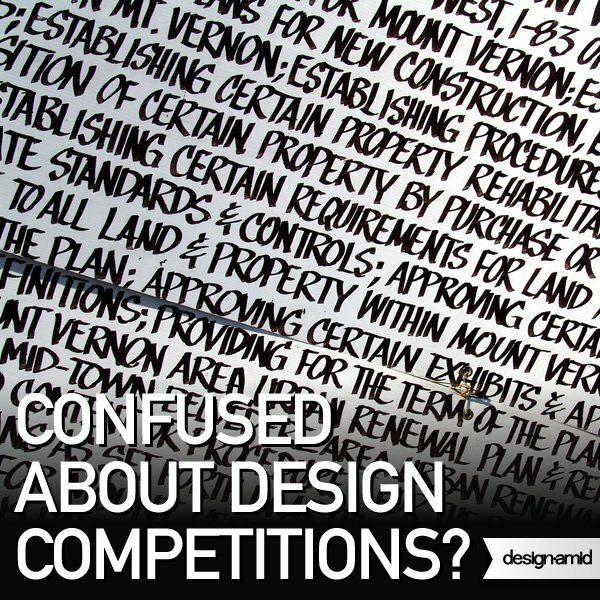 While the term design competition could be used for all of the aforementioned aims and events, it might be a good idea to know the exact differences between different design competitions. Competitions could be considered academic (where there is a jury and a printed publication or exhibition), or non-academic (when there is lack of jury) and could be discussed for the type of submissions you might require to make, and if they would be paid-to-join, or get-paid-if-win. Design Competitions : Design Competitions, as a pure-core definition, means events organized to procure and collect design proposals. The aim of a design competition is to crowd-source ideas or innovation. In this context a design competition could be compared to a close-envelope tender, where the organizer of the tender also requires submission of possible project presentations (and participants could not see the results or other parties’ submissions until the results are announced). This is perhaps why, almost all architectural tenders, are also architectural design competitions, because entries compete with their design and engineering contents only (as in many cases the budget is already given, thus the price or expected costs are no longer an evaluation criteria). Product design competitions are a recent phenomenon and became prominent in the internet-era, while architectural design competitions existed from ancient times. Architectural competitions are academic competitions. Design competitions require active participation by designers that fill-in the forms and join. There is usually a very specific brief given to indicate the aim of the work expected from the participants. Most submissions are concepts, scale-models or prototypes. Design Selections : Design Selections are events organized to select best art-works to exhibit in an exhibition in a gallery or museum. Usually marketed as a competition, but unlike a competition, the works are competing for acceptance into an exhibition; thus the curator of the exhibition has full control over its participants and there is usually no other jury then the gallery owners. Participation in the design selections of galleries are usually based on a small fee, and are further subject to the percentage payment once the submitted design or artwork is sold. Design selections are not solid academic competitions because there is usually no significant jury, however in most cases, they will be considered academic because there is an exhibition and in some occasions a publication. There is usually not a brief given, and submissions can be field-vise; i.e. for example call for submissions could be open to sculptures, open for chair designs etc. Submissions are usually prototypes, end-products or work of arts. Design Medals : Design Medals are superior versions of design selections, organized by government institutions or non-profit organizations especially for art related fields to honor and support artists. Unlike the design selections, there is no participation fee and designers are given monetary awards in addition to medals, commemorative plaques or trophies. Design medals are also called juried design competitions; to signify the importance of the existence of a jury and the methodology of the event. Since they are organized by mainly governments, there are not many international design medals, however usually art related international organizations organize also the international juried design competitions. Design medals are almost always academic competitions and provide academic progression points in many countries for art and design fields. There is usually not a specific brief, and submissions are field-vise. Submissions are final works or working prototypes. Design Prizes : Design Prizes are events where winners are offered a monetary prize. It is important to note that most design competitions which are offering prizes are very similar to lottery tickets; you submit your design by paying the entrance fee and you could win a grand prize, which is selected by public or jury voting. Public voting or participants’ voting is usually used for two reasons: firstly, to create more publicity for the event, but most importantly because the organizer wants to avoid problems arising from the selection because once there is a significant of amount of money is on the table, people could potentially create problems. Design prizes are rarely academic events, but it is important to note that most design competitions are also design prizes, as money is one of the major incentives for designers to join a design competition. Design prizes are usually multi-disciplinary, and a specific brief is not provided. Submissions could be anything, from concept to finalized products. Design Trophies : Design Trophies are events organized by companies to create publicity for the organizer. They are called trophies, because what the winner gets is usually a non-designed non-customized read-picked cheap acrylic, crystal or brass trophy. Participation to design trophies are always free, and they are usually non-academic competitions, unless when organized by very big companies for prestige because in this case, the trophy is accompanied by an exhibition, a publication and others which make it academic. Design trophies usually have a brief, that limits a special type of design to be submitted, however designers are not limited on the solutions or concepts they submit, as the aim is not to realize ideas, but in most cases to collect interesting designs that might be used for publicity or trend analysis. Submissions are usually concepts. Design Awards : Design Awards are events organized by companies or organizations that aim to create publicity for the winners. Most design awards are pay-to-join, and could be considered academic or non-academic based on the existence of a publication, jury, and exhibition. It is almost always prestigious to win international design awards, due to the amount of publicity and awareness created. Internationally organized professional design awards could create great visibility for the participating designers. 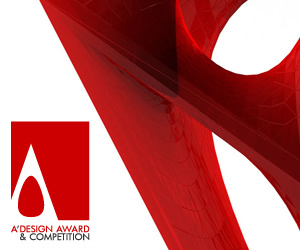 Design awards require designers to submit and nominate their works. The difference between design competitions and awards is that, the participating works are not transferred to the organizer in design awards. Design awards are usually multi-disciplinary, and could have multiple submission categories, to help with the evaluation and judging. Design awards accept a wide range of submissions. Submissions are usually digital but physical submissions could also be required, especially when there is an exhibition. Design Accolade : Design Accolades are events organized by governments and design support organizations to create value added for participating brands. Usually, accolade programs require a payment to join, and there is not a particular brief, moreover the event is multidisciplinary allowing submissions from different design fields, but usually the focus is on product design. The aim of the accolade is to create awareness for design, and to award companies with good design symbols to help them sell better through differentiation. Design accolades are usually academic competitions as there is a good jury, exhibition and publication. Most accolades are nationwide programs, while the oldest programs have become more or less international. These type of design competitions usually limit the participants to send realized designs within the recent years, which differentiates them from design awards; as in design awards, in general concept designs could also be submitted. Design Challenges : Design Challenges are idea collection events organized usually by enterprises but sometimes also by governments, to especially tackle a design problem. In Design Challenges, a very specific aim and purpose is provided with the brief and designers are asked to overcome the challenge by submitting designs. Design Challenges are usually non-academic, as instead of a jury, the product that over-comes the challenge is a winner, and there is usually not an exhibition, however, winners usually get immerse amount of publicity, and could win prizes that are normally very high, up to ten, hundred folds of prizes offered in normal design prizes. Design challenges have a very specific brief, aimed to push designers to come up with solutions. Submissions are concept designs with technical aspects highly developed or accompanying a technical document. In some cases, or further stages, prototypes or working models could be physically submitted. Design Contests : A lesser form of design competition, design contests are mostly events organized by contest platforms, on behalf of companies or individuals, who wish to procure designs, in a very cheap way. These competitions are mostly organized in a way that create ethical problems because in most cases, the systems are designed such a way to make it easy to steal ideas from other participants; because in most design contests, participants could see submissions of others while the submissions are still ongoing; furthermore, organizers comment on the submissions indicating preferences and likes, thus other participants could see the feedbacks and change their designs accordingly. These are non-academic competitions, and the sole incentives provided to participants are trivial payments. Design contests do not provide prestige or fame, but still, they are good for young designers as a way to develop their portfolio, because in many cases, organizer of the competition will provide a very specific brief, teaching the industrial and technical design requirements and designers will thus come-up with realistic solutions. Currently there are many design contest platforms to organize such events, in order to crowd source design in a very efficient manner. Submissions are always digital, and usually a single image of a concept or proposal. Design Sweepstakes : Mostly marketed as design competitions, in reality design sweepstakes has nothing to do with the design competitions; these are lottery schemes that requires participants to submit designs together with their entry forms. They are marketed as competitions, because design sweepstakes attract more participants than normal sweepstakes. Should be avoided by designers as submitted entries are never judged or evaluated but winner is rather randomly picked. Design Tournaments: Design tournaments are multi-phase events, where at each round participants are eliminated, and best entries move to next stage where further work is required to be submitted, the aim is to complete a sophisticated design task by breaking it into multiple phases. Most design challenges are organized in the form of tournaments, with different briefs at each stage. Design Tournaments could also be used for procuring complicated or multi-disciplinary designs, and involve organization of multiple competitions. 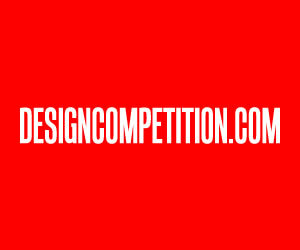 Design Concours : Design Concours, is a special type of design competitions open to public (including non-designers), these are also called configuration-competitions, because anyone could join and configure a product or design using the available configurator tool provided by the platforms. 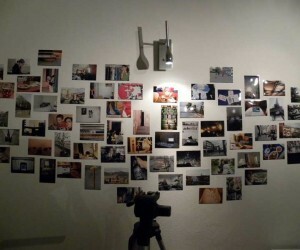 These types of events are organized to collect user insights and create publicity for the organizers. Participation is free, and the brief is simple, but for any professional designer, these are a total loss of time, unless you are a winner. These competitions are totally non-academic. There is usually nothing for participants except money offers, but still they are marketed as competitions. They are very similar to sweepstakes. Design Proving : Design Proving is a specific type of design competition where the involvement of public is limited to voting entries, these types of competitions are organized as a way to measure the preferences of end-users i.e. the public to understand and explain trends. 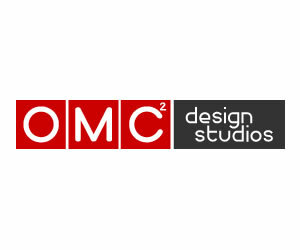 Design Proving type of competitions are also good for creating publicity and advertisement for the organizers. These are always non-academic events, as calls the public to vote for entries, it is a common phenomenon to see designers with more friends winning these events rather than real talents. Design Pageant : This is a special type of design competition where the engineering or technical aspects of the designs are not considered at all, due to the inability of the jury to understand them, or to create publicity by collecting good looking designs. It is common to see that design pageants end-up with a publication due to the aesthetic appeal of mostly useless designs submitted, and could even be followed up with an exhibition. However, still they are considered non-academic because there is no jury, no brief. Most design pageants are sector specific or themed; such as a pageant for red items, a design pageant for furniture etc. They do however provide publicity for participants because the entries disseminate quite a lot, due to the intrinsic nature of the event that collects the best-looking handsome designs. To remind you once more, competition is defined in the dictionary as the act of competing; rivalry for supremacy, a prize, etc. 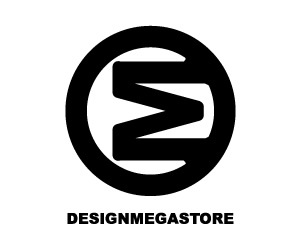 Therefore, a design competition is rivalry for supremacy in design. Competition is also defined as a contest for some prize, honor, or advantage: Therefore a design competition could also means a contest where you use your design skill to gain advantage. But these dictionary definitions are too general and they do not reflect the whole phenomenon, so I would suggest you to stick to my definitions. Final Tips? If you are a design student, I would suggest you to join free design competitions (or medals organized by governments or associations or very large corporations) rather then the contests (organized by small or medium enterprises) as the returns will be always higher. If you are a professional, I suggest to apply for the pay-to-join international design awards to help gain publicity, fame and recognition. This article was added on Monday, 27th of January, 2014 at 05.26 am by author Onur Cobanli Tags: design competition classifications, design competitions, design contests, . Read our copyright policy here.